New novel a powerful story of relationship redemption. 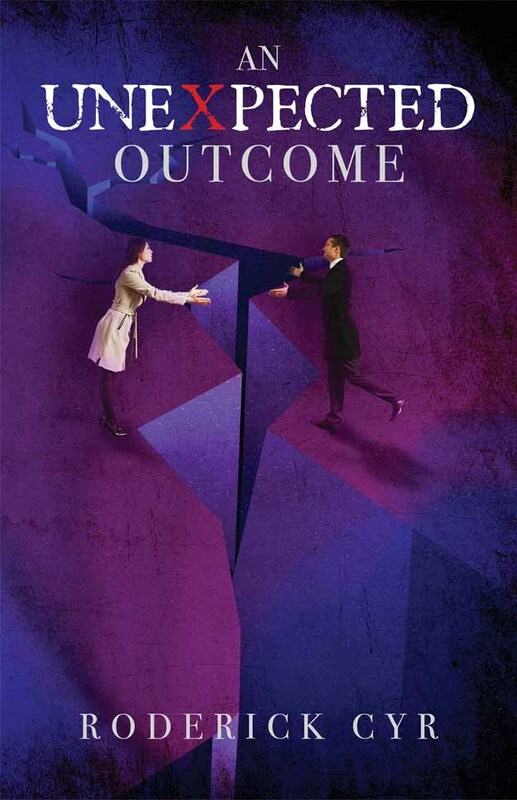 My just released novel, An Unexpected Outcome, is the riveting love story of Colby and Haley Carlisle. The novel takes readers on a journey of commitment, broken vows, second chances, and relationship redemption. “A gripping, tragic portrait … with complex, sympathetic main characters.” (Kirkus Reviews). “Suspenseful…A story with many twists.” (San Francisco Book Review). The novel captures several remarkable characters readers will never forget and contains a number of intense, adrenaline-inducing scenes that will keep you enthralled. When Colby and Haley marry they agree to prioritize family first and value each other above all else: work, wealth, friends, and hobbies. Then Colby receives an unsolicited proposal that promises to gratify all his secret desires. But it comes at a cost and sets in motion a sequence of unexpected events that jeopardizes Haley’s life and threatens their marriage. As the couple struggles through the chaos they must decide whether to rebuild their marriage and give each other a second chance. What results is a heart-pounding outcome neither imagined and neither will ever forget. Plenty of action exists to keep the pages turning and a number of plot twists and turns will surprise readers, lead them on an emotional roller coaster, and appeal to fans of romance and action genres.